When I say Ultimate Festive Winter Sangria, I really mean it! This is a family and friends favorite! Perfect for any party, game day, and Holiday celebration! 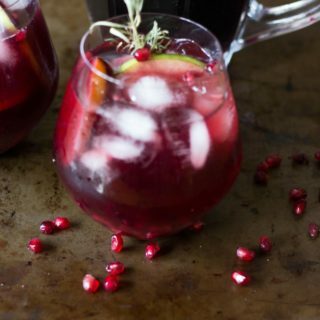 Full of flavor from pomegranates, pomegranate juice, red wine, and citrus! The combo of flavors makes a tasty sangria! I hope everyone is enjoying their January and are keeping with healthy recipes and continuing to keep the body moving with some exercise and lots of walking! My family has been really enjoying the amazing salad and rice bowls! I am looking forward to continuing to share these recipes with you all! My Favorite Superfood Detox Salad is a big hit with everyone and is getting lots of positive feedback! If you haven’t made it, I hope you whip it up soon, it’s delish! That being said, I still am a believer in all things in moderation and do enjoy a cocktail! My recent recipe for a Bloody Mary is wildly popular, another one to add to your rotation! So keeping with my theme of all things in moderation, this unbelievably tasty Ultimate Winter Sangria is on the list of enjoyable cocktails! Oh man, how I love a great glass of sangria! I am not sure if its the addition of the yummy fruits, extra flavors from mixing beverages but I do love a Sangria! 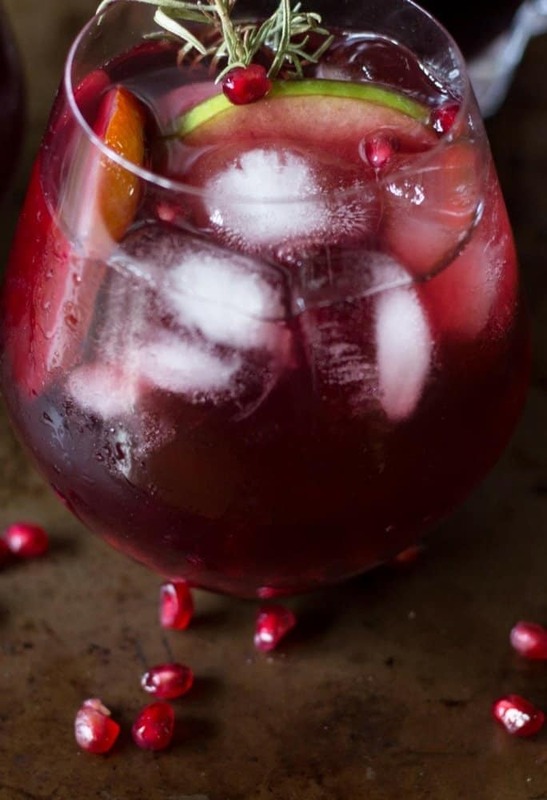 I may be rationalizing, however, this sangria is giving you not only flavor but has an additional antioxidant boost from the pomegranates and cranberries! My very favorite neurologist has also told me that adding a glass of red wine to my diet is super! I have also made him a batch and he is a believer as well! So there ya go..approval from my doctor ..tee hee!! I am all for a festive cocktail and bringing in the flavors of the season! I love to combine a decent, but not an expensive bottle of red wine, some cranberry and pomegranate juice! I used a local wineries Pinot Noir! 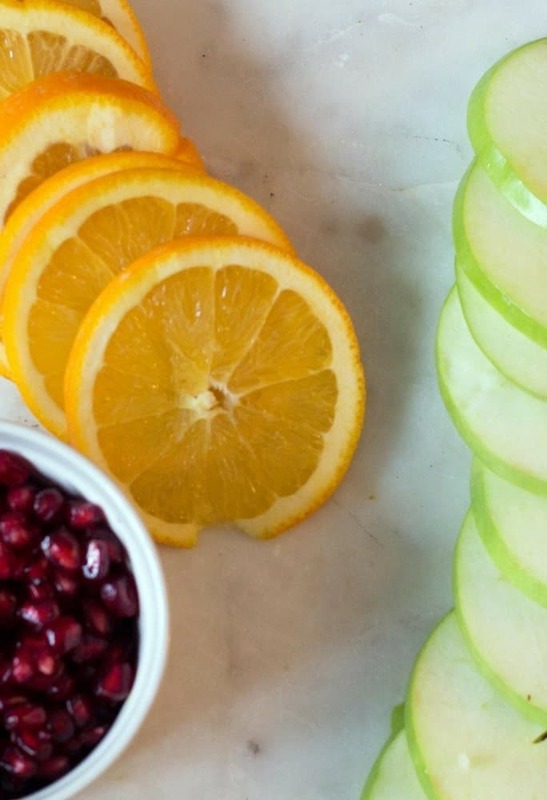 I love adding in seasonal fruits to my sangria and the combination of sliced apples, oranges, and pomegranates works wonderfully! The key I have found is to have fun! I was putzing around, yeah that’s right, putzing around with flavors! I wanted to come up with a festive drink for my daughter’s college graduation celebration! Still cannot believe two of my children are older than 21! Yikes, okay sorry, back to the sangria! I wanted something light, yet still has a healthy touch! Thus, this is where I came up with my Ultimate Winter Festive Sangria! This was a big hit at our celebration! In fact, making a batch for this evening and I am going to be watching a Mary Tyler Moore Marathon! I hope you add this to your Brunch and Fun Drinks Pinterest Boards! I’d love for you to follow me on Pinterest! I’m always pinning from amazing bloggers! 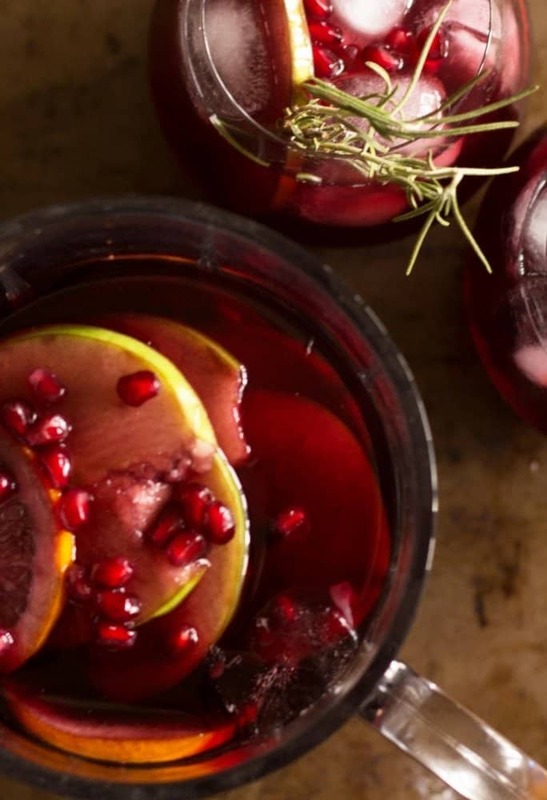 I’d love for everyone to make this yummy Ultimate Winter Sangria! I’d love to hear how you enjoyed the recipe! So let me know here by leaving a comment! It’s always great when you share your recipe on Instagram! Use #everydayeileen, so I can see and share your recipes! A tasty sangria that is always a crowd pleaser. 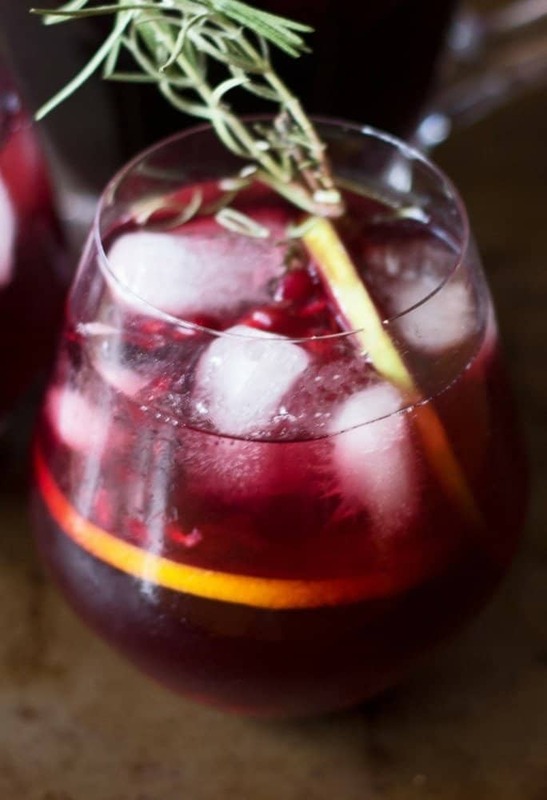 Whether a Holiday party or watching the big game, this sangria is truly the Ultimate Festive Winter Sangria! I make double the batch because its a crowd pleaser. Pinot Noir flavored with pomegranate juice and pomegranate seltzer plus fruit - super delish! Combine in a large pitcher or punch bowl red wine, triple sec, pomegranate juice, simple syrup, orange slices, apple slices, and pomegranate arils. Cover and refrigerate for at least 2 hours, Can keep refrigerated overnight and up to 48 hours. Over medium heat, in a saucepan, combine the sugar and water. Heat and stir to melt sugar completely. Remove from heat and let cool. I use a mandolin on 1/8 inch to slice the fruit. If you cannot locate pomegranate seltzer, use either plain or another flavored seltzer. This sounds so delicious and refreshing. Definitely saving it for warmer weather. I am so glad you like this sangria Ava! Enjoy! The combination of the ingredients to this Sangria sounds lovely! I think garnishing with the Rosemary is brilliant! Why didn’t I think of that! Great job on this recipe. this sounds wonderful I love the combinations of the fruits with the juices I might try it with blueberry-pomegranate juice and add fresh or frozen blueberries! Amanda, that sounds wonderful with blueberry and pomegranate, yum! Sangria is always a lovely drink. With these flavors and the gorgeous color is perfect for entertaining! I want to make this righhhhht now. I’ve never made sangria in the winter but I’m going to now!